You don't have to be full of local knowledge to have an awesome time in Copan Ruinas, but you will need to know a few essential facts before you take off. To help you get your bearings, Copan Ruinas lies 80 miles (129 kilometers) to the north of the well-known city of San Salvador. 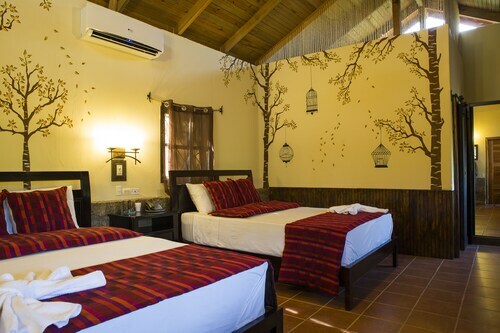 Get significant savings on Travelocity's Copan Ruinas accommodation and airfare packages. You've also got a world of choice with more than 400 airlines and 665,000 places to stay. Our Customer 1st Guarantee offers the added comfort of 24/7 personal assistance on everything from accommodations and flights to rental cars and activities. If you happen to stumble upon a cheaper deal on a different site, we will return the difference^. Do you want to have some freedom in your travel plans? 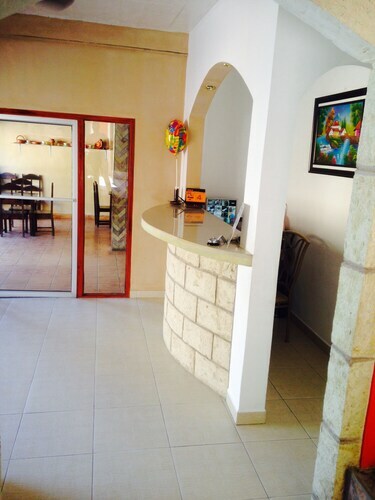 Our accommodations can be revised with no hidden charges. And so long as you get in fast, most accommodations don't charge extra fees either^. 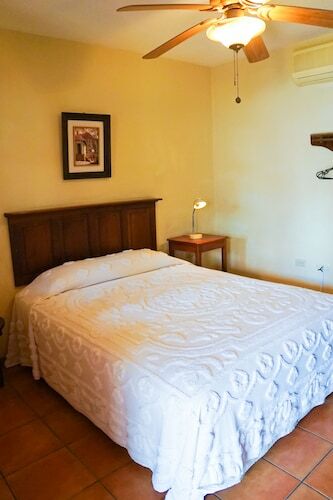 When Copan Ruinas beckons, heed the call and reserve somewhere fabulous to stay with Travelocity. 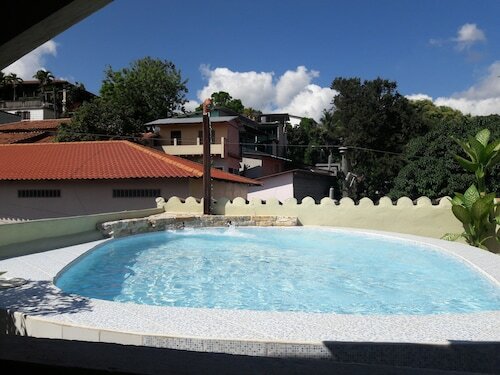 There are 11 accommodations in this appealing destination for you to check out. 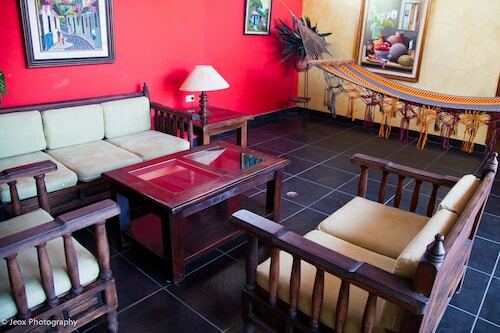 The Hotel La Escalinata and Clarion Hotel Copan Ruinas are our favorite accommodation options. Make a reservation and then you'll be able to get down to the good stuff — booking your amazing getaway experiences. Where do you fly into for Copan Ruinas? While you're researching for your upcoming Copan Ruinas escape, bear in mind that the nearest airport, El Salvador International Airport (SAL), is approximately 95 miles (153 kilometers) to the south of the downtown area. Book your ticket, fill up your bags and get ready for some exciting adventures! Can I rent a car in Copan Ruinas? While the usual tourist destinations in Copan Ruinas can be great to see, why not take it a step further and discover some cool new sights with a rental car via Travelocity? There is no better teacher than history. Journey into the past for an eye-opening lesson at Copan Ruins. Like some more ideas? There's an inspiring collection of archaeological insights to peruse at Las Sepulturas Archaeological Site. It's a fun educational day out for the whole family! But that's not all there is. If you have an investigative mind, take a trip to The Sculpture Museum of Copan. You never know what you'll find here! Sometimes, getaway experiences can be so marvelous that they absolutely bowl us over. They become precious moments to chat about for a long time to come. Are you all set to create some outstanding new memories? Copan Ruinas offers some excellent adventures to embark on. Why not try a Full-Day Copan Tour or a Copán Ruins Day Tour? 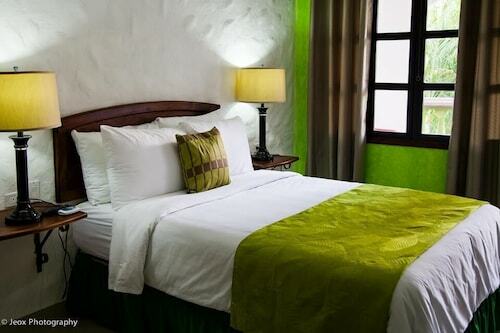 Situated in Copan Ruinas, this hotel is within 1 mi (2 km) of Central Park, Camino Maya Recreational Center, and The Sculpture Museum of Copan. Copan Ruins and Macaw Mountain Bird Park & Nature Reserve are also within 2 mi (3 km). 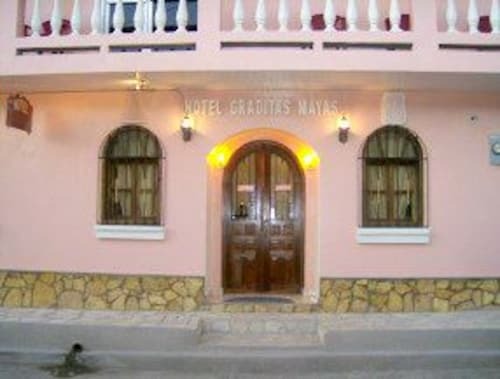 Situated in the historical district, this hotel is within a 10-minute walk of Central Park and Camino Maya Recreational Center. The Sculpture Museum of Copan and Copan Ruins are also within 1 mi (2 km).